Kotobuki is the developer of some of the best-selling and most popular adventure role-playing game apps of all time, yet many players have yet to hear of them. If you’re a fan of games that combine exploration, quests and battles along the lines of Might and Magic or Nintendo’s Zelda/Link series of role-playing adventure games, Kotobuki’s apps are right up your alley! Symphony of Eternity, a role-playing game for Android, boasts an gripping story, quirky characters, and freewheeling combat. If you enjoy old school computer role-playing games such as Might and Magic, Symphony of Eternity should be your next sojourn. The game’s combination of turn-based gameplay with an auto-battle feature makes for smooth, simple, and freewheeling combat. You can control every move from the touch screen, so it’s easy to stay focused on the game. Quirky, comical, and emotional characters make appearances with their own purpose in the story. Customize characters with different gear or offensive and defensive skills based on total merit points. Nurture your character to your preference by allocating points to desired skills. If you would like to increase attack power or critical strike rate, you can–among many more skill options. 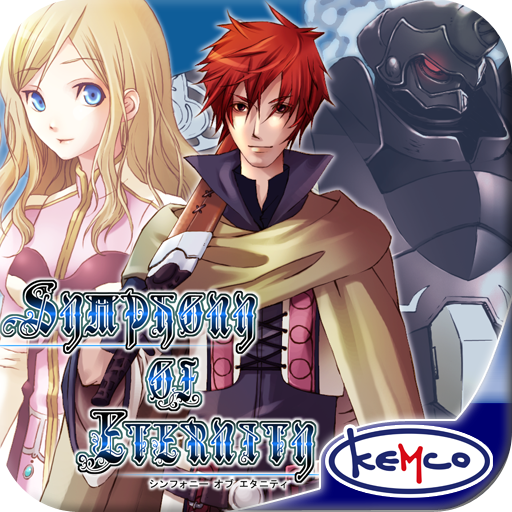 Symphony of Eternity features high quality WVGA graphics, and also supports output to a high-definition monitor. It’s easy to immerse yourself in this game’s beautifully-rendered world. A family of treasure hunters hears the news that an ancient ruin has been uncovered. They creep into the ruins, where they are certain they’ll discover some wonderful treasures. But in the end, will they be successful in their hunt for the treasure? 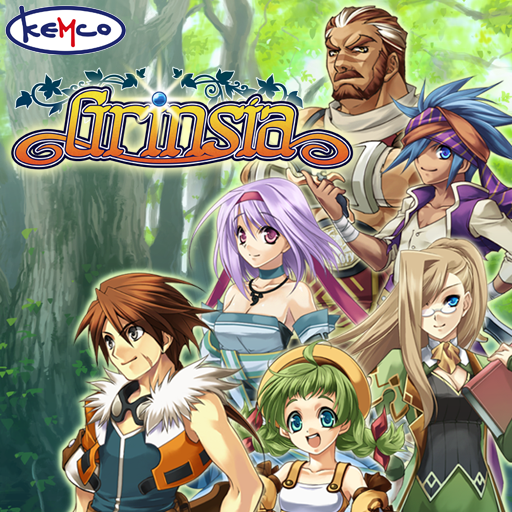 RPG Grinsia is a fantasy RPG, with a quest involving twin Goddesses, and six pieces of treasure. The main characters are a family of treasure hunters, and they are joined by a wide range of other characters. In RPG Grinsia, you can choose your allies from a wide range of characters. When the number of characters passes a certain point, you can choose which of your allies to take with you by going to a tavern in one of the towns or villages. Each character reacts differently to each event, so by changing the members of your party, you can play the game again and again, enjoying the different reactions of the members. In the main story, there are characters who won’t become allies, too. Journey across the world, in search of allies! The beautiful graphics support high-resolution screens. You can select the graphics quality from the Options menu. By choosing a lower graphics quality, it is possible to make the game faster. You can choose from two types of game control, to make RPG Grinsia as comfortable to play as possible. The options are touch control, and a virtual cursor pad control. Click here to browse the full selection of Kotobuki RPG Adventure game apps.